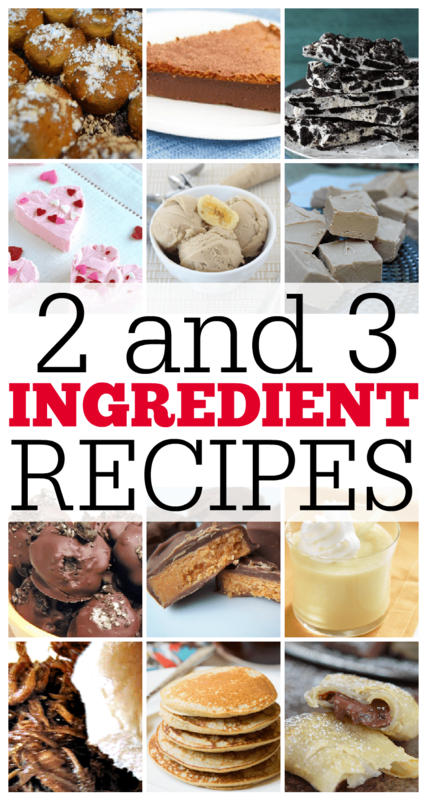 I love a good recipe but when they are just 2 or 3 ingredient recipes then you know I’m even more excited. Fewer ingredients mean less prep work! Throw a party because that means you have more time to do something else, like your laundry. No? Yeah, me either, more like to catch up on all your missed shows you have stockpiled on your DVR or to binge watch the latest Netflix show. Okay, so technically these recipes only got you past your dessert, minus some pulled pork sandwiches but hey dessert is the best part right? As a college student, I love recipes that are both cheap AND easy to make! Thanks for a fabulous round-up! I make Oreo truffles every year for Christmas and everyone always loves them!